Must be booked in advance. Offered Daily from 10am-4pm [time is subject to change and dependent on tides and swells]. Minimum of two people are required. Private lessons are available at an additional fee. 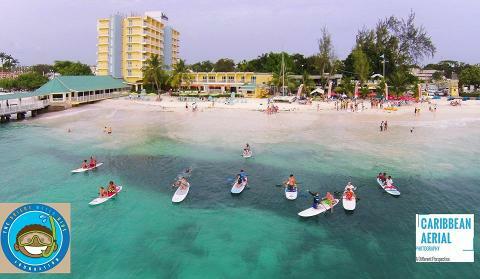 Riding waves on a paddle board is the natural progression in Stand Up Paddle. This is the most thrilling side of the sport, where all that distance paddling pays off! 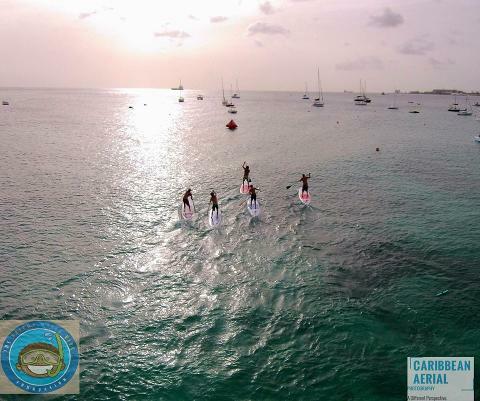 Our Stand Up Paddle surf lessons and tours guarantee that you will become a rider. Stand Up Paddle surf lessons and tours are generally 2 hours long, and begin with a 15 minute lesson on land to cover the basic techniques, safety and handling of equipment.